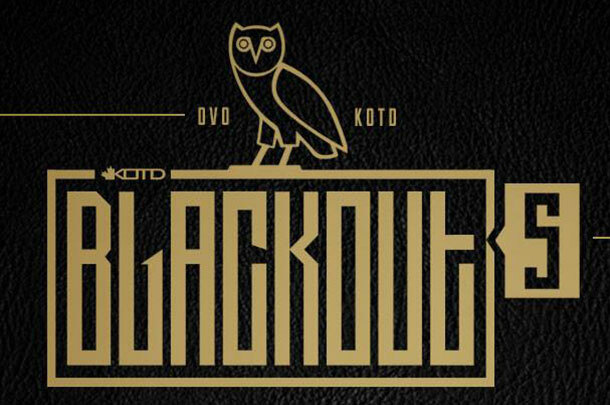 After months of hype, King Of The Dot’s “Blackout 5″ is finally here. Based on yesterday's Drake-attended press conference and Thursday's KOTD/New Era hat launch, it's safe to say we have two very exciting days of battle rap ahead of us. Tonight's main event is Hitman Holla vs. Shotty Horroh, which was already set to blow the roof off Toronto's Queen Elizabeth Theatre, but will be even more electric with Drake's $10,000 going to the winner of the now-judged battle. Check out our full preview of that match-up here. EVERY RAPPER MADE IT ACROSS THE BORDER!!!! ITS GOING DOWN! OFFICIALLY THE BIGGEST BATTLE EVENT IN HISTORY!! Big line for #BLACKOUT5. Doors just opened. Looking like it'll be the biggest KOTD crowd to date. There's a dude in line with a pink suit. Here's another look at the #BLACKOUT5 stage. BattleRap.com editor-in-chief Chris Mitchell is in the building doing updates, interviews and co-hosting the live pay-per-view with Dirtbag Dan. We had some issues with this page, and will now be updating all of the battles here. What do you think about the event? Let us know in the comments below. Stu Mitchell is better known as North Vancouver battler Pigsty. 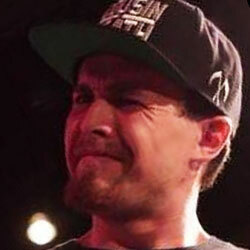 He's battled in King Of The Dot and GZ Battles against the likes of Ayem, Fingaz and A-Class.